Careem has this habit of taking digs at Uber. Whenever they see any opportunity, they take their chances. Sometimes they even create these opportunities only to get embarrassed eventually. So when Uber made a big error last week after the women in Saudi were allowed to drive, Careem was not ready to hold back. Let’s give you some background. So, Saudi Arabia last year had announced the decision of allowing women to drive, becoming the last country in the world to do so. The ban was lifted last week, on Sunday, the 24th June. 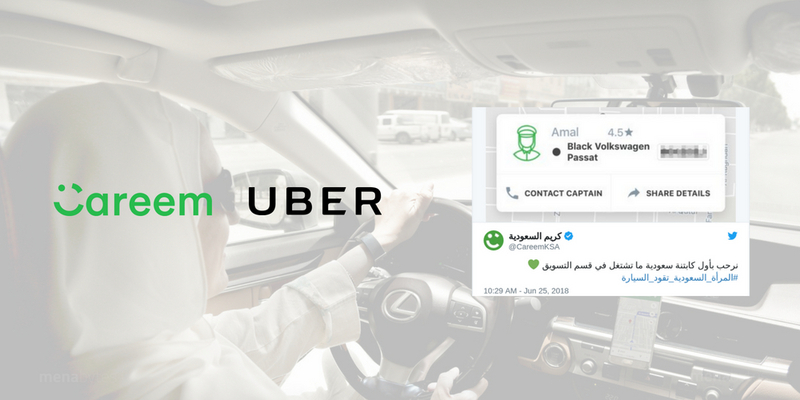 When the Saudi government had announced the move, many feared that Uber and Careem will lose a big chunk of their business in the country as 70-80% of their customers here are women. But both the companies, right after the announcement, introduced their campaigns to recruit women drivers, trying to embrace the change. Now, when the women could finally drive on 24th June, both the companies perhaps wanted to claim the title of ‘facilitating the first ever ride by a female taxi driver’ in Saudi Arabia. So here’s what Uber did. They had their Marketing Manager, Ohoud AlArifi, working as the first female Uber driver. There’s absolutely nothing wrong with that. In fact, its a great thing as it goes on to show the belief a company’s employee has in their products. Even Travis Kalanick used to drive for Uber. It does, however, give an impression that Uber failed to hire and train the women drivers before the ban on women driving was lifted, which is false . But like I said, that’s not the problem. What followed was. On the day the ban was lifted, Aziz Alangari, another Uber employee who also works in company’s marketing department tweeted, saying, “Just requested my first Uber ride from a Saudi female, thanks for the ride Ohoud.” He had later deleted the tweet but here’s a tweet by another user sharing the screenshot. Many users took the conversation to LinkedIn as well, sharing their thoughts about the whole situation. The opinion seems to be divided among people who are siding with Careem, appreciating their ‘witty’ response and criticizing Uber for a misleading tweet (even though it was shared by an employee who could’ve been acting in his individual capacity without any instructions from the company) and those who think that it was just another shabby attempt by Careem to stay relevant.